In the early 1970s I left my farm on the western slope of the Colorado Rockies to come to New York and study Torah. It was not easy to leave the crisp autumn mornings, the quaking aspens, the summer meadows filled with wildflowers and the snowcapped mountains. It was harder still to leave my fifty acres of organic fruit trees, the bees buzzing in the apricot blossoms, and my powerfully graceful chestnut quarter-horse, Flash. Most difficult of all was leaving a community where everyone was a meditator, where the vibration in my hundred-year-old log cabin was one of calm awareness and serenity. I kissed the ground, and I cried. Most difficult of all was leaving a community where everyone was a meditatorWhen I arrived at my spiritual destination, a religious community in New York, I found that I was not unique. I was one of many truth-seekers who had made this pilgrimage from a world where the cultivation of consciousness had been a core value, yet we had felt something lacking. Some of us had lived on communes in Vermont and Oregon, or on sloops in Costa Rica and Nova Scotia; others had left graduate programs at Harvard, Berkeley, and MIT in search of the secrets of inner peace possessed by the holy men of antiquity. Upon realizing that a pastoral lifestyle and exotic Eastern meditation techniques were simply fast foods for our hungry Jewish souls, we had turned toward the nourishing wisdom of our abandoned birthright. We had chosen a Torah life. Though the teachings were elevating, the family life was inspiring, and the mitzvahs were an everyday source of meaning and joy, I must confess that I didn’t feel the calm. Where was the tranquility? Is mindfulness, I wondered, an ingredient in a Torah life? I rarely heard my Torah teachers speak of cultivating inner awareness. Over time, however, as I became more sophisticated in my understanding of Torah, I realized that mindfulness and a peaceful, balanced soul is indeed an objective in Jewish life, and that the tools for attaining it are subtly woven into the tapestry of Torah knowledge. I learned, for example, that the Hebrew word “shalom” implies not just peace, but also completion, perfection, wholeness. We bless one another with peace; our daily prayers culminate in a request for peace. One of the principal techniques for achieving a peaceful soul is establishing regular times for meditation. While “meditation” suggests an image of someone sitting in cross-legged lotus position with eyes closed and incense burning, meditation in a general sense comprises a wide variety of practices. All of them involve harnessing the dynamics of the mind in order to think in a more intentional, less random or accidental manner. Most also entail a certain quietude of mind, a sense of surrender to a higher or deeper aspect of the mind. In his pioneering spirit, the Rebbe urged us to develop acceptable meditation methodologies that would serve as tools for overcoming stress and anxietyIn 1977 the Rebbe began a push to make a kosher form of meditation available to the public. The Rebbe specifically mentioned the efficacy of meditation as an antidote to stress and anxiety; he was concerned, however, that many of the more popular teachings were not consistent with Torah values. He reached out personally to a number of religious psychologists and medical professionals, as well as to others known to be versed in meditative practices, including my husband and me. In his pioneering spirit, the Rebbe urged us to develop acceptable meditation methodologies that would serve as tools for overcoming stress and anxiety, thereby replacing negative emotions with feelings of internal peace. The Rebbe was most certainly not the first Jewish leader to address the topic of meditation. Commentaries on the life of Abraham suggest that when he sent his offspring to the East bearing gifts, these gifts included aspects of meditative practices that eventually surfaced in Far Asian spiritual teachings. Some speculate that a Hindu caste of holy men is called “Brahmans” after the Abrahamic tradition that spawned them. Abraham’s son Isaac was a meditator; when his bride Rebecca first saw him, he was “meditating in the fields”—and the Biblical accounts of his practice of “digging wells” are understood to signify his delving into the depths of consciousness. Many of the early holy men in Jewish history were shepherds who chose the pastoral lifestyle in order to be able to meditate in the fields. Talmudic sages and mystical Kabbalists had a longstanding tradition to meditate before and during prayer; since the time of the Baal Shem Tov, chassidim have carried this legacy forward until the current day. There is a limited amount of literature on the Kabbalistic methods of meditation, perhaps because some of these practices were considered too difficult or perhaps even dangerous for the uninitiated, and were not meant for the masses. However, research has uncovered enough clues to convince us that some of the most important mainstream Jewish leaders of the past relied on various meditative techniques to advance their spiritual practices. Over time, safer and simpler methods have emerged. Meditation is a balm to the soul, an antidote to anxiety, a channel to the understanding of G‑d’s greatness—and man’s insignificance. At the same time, it also empowers and imbues us with Divine energy. There are many forms of meditation, beginning with simple relaxation exercises involving attention to the breath or other bodily sensations. Other elementary techniques employ a word or phrase, repeated mentally in order to elicit a relaxation response and transcendent thought. Guided imagery allows the imagination to experience beauty and tranquility—because to the subconscious mind, imagination and reality are the same. The chassidic practice of hitbonenut meditation involves actively contemplating a spiritual concept until it expands our creative intelligence, deepens our awareness, and becomes an indelible part of our consciousness. Prayer is an advanced form of meditation; yet it is also simple and accessible to all. 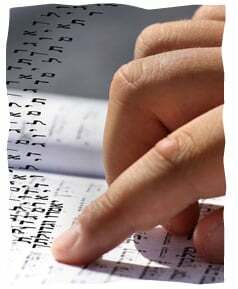 The Hebrew word for prayer, tefillah, implies connecting to and bonding with one's spiritual source. In fact the prayerbook, the siddur, can be seen as a highly sophisticated, structured guide to cultivating our awareness of the presence and the power of G‑d. As I observe an increasing number of friends, family and acquaintances taking anti–anxiety or antidepressant medications, or struggling to keep an even keel in times of great economic and political turmoil, I feel compelled to re-examine this call from the Rebbe. More than ever, it has become crucial to help people learn appropriate techniques for stress reduction, and to explain why and how such practices are relevant to our lives. And it’s not just about overcoming negativity. Within these challenges lie thinly veiled opportunities to dramatically enhance the quality of our lives. Human beings are endowed by their Creator with a spectacular and elaborate defense mechanism called the fight-or-flight response. When a stressor stimulates certain hormones, such as adrenaline and cortisol, these agents hasten the heart rate, cause our breathing to become shallow and rapid, increase blood flow to major muscle groups, slow digestion, and change various involuntary physical functions—thereby giving the body a burst of energy and power. Our muscles stiffen, our teeth clench; even our capillaries contract to restrain the flow of blood to the body’s surface. We become “uptight.” Being uptight can be very handy in the event that a gladiator is threatening to run us through with a sword, or a fiery dragon is baring its teeth to bite. It’s of dubious utility, however, when we’re trying to be creative in our work or loving in our relationships. Many of us feel as though we are constantly under pressure. Whether the pressure is real or imagined, our health suffers, and our thinking becomes reactive and confusedOriginally named for its power to enable us to do physical battle or run away when faced with peril, the fight-or-flight response is now activated in situations where neither fighting or fleeing are appropriate—like in heavy traffic, or when the computer freezes, or when we have to deal with AT&T, a spouse’s criticism or a crying baby. Moreover, after the threat has passed, our systems are intended to return to more normal functioning via the relaxation response. In these complex and stressful times, however, this relaxation happens neither quickly enough nor often enough. As a result we become susceptible to damage—to the body, and to the soul. When faced with chronic stress and an overactive limbic system (the primitive, reactive part of the brain), sooner or later we begin to see physical symptoms. The initial symptoms can be relatively mild, like persistent headaches or increased susceptibility to flu and colds. With more exposure to chronic stress, however, more serious health problems may develop. It’s been estimated that as many as 90% of doctor’s visits are for symptoms that are at least partially stress-related. These stress-induced conditions include, but are not limited to, depression, obesity, diabetes, obsessive-compulsive disorder, ADD, anxiety disorder, heart disease, hyperthyroidism, sexual dysfunction, tooth and gum disease, ulcers and even cancer! As physical and emotional ailments progress into more subtle realms of the spirit, we might begin to become annoyed with our loved ones, or doubt our own capabilities to change our circumstances and ourselves. If we keep succumbing to stress and falling into a habitual reactive state, before long we also begin to doubt the benevolent presence of Divine providence in our lives. The fast pace of modern living is prompted by the desire—and the ability, thanks to technology—to be more efficient and effective. But it turns around and bites us. According to the Ramchal, Rabbi Moshe Chaim Luzzatto, rushing is the close ally of the yetzer hara (our negative, self-sabotaging inclination). Rushing impels us to react from our animal soul (the limbic system) rather than our higher self (the altruistic, optimistic, G‑d-focused mind). It’s an astute observation, rendered all the more potent when we consider that the Ramchal lived in 18th-century Europe. Imagine what “rushing” was to him, cruising the canals of Italy on a gondola and telling time from a sundial! It doesn’t take much imagination, however, to understand what rushing means to us today. Many of us feel as though we are constantly under pressure. Whether the pressure is real or imagined, our health suffers, and our thinking becomes reactive and confused. We become far less likely to make healthy lifestyle choices, like getting enough sleep, exercising regularly, and eating well. Nor are we likely to deal with our problems or with the needs of our loved ones in a calm and elevated fashion. How is it possible to survive, let alone thrive, in the midst of this sense of constant pressure? To gain access to our own abilities, to activate the best of ourselves rather than act from our least functional, habitual patterns of response, we first need to alter our perception and our perspective. Meditation—or perhaps mindfulness exercises that may not look like “meditation” per se—can put us on that path. As observers of the world in which we live, we are each like a carefully crafted camera. By adjusting the focus, we can see things more clearly. By changing the lens, we can choose to see the world from a broader point of view, or zoom in from afar to examine minute details. With certain filters it is even possible to see dimensions of “what is” that are ordinarily invisible to the naked eye. It is possible to view the same objects, relationships, choices, or challenges either more clearly, or from a different perspective, or with higher definition and better resolution, when we adjust our instrument of observation. Meditation can help make those adjustments in our minds, our hearts, our nervous and endocrine systems, our emotions, our thoughts, and ultimately our souls. Meditation can be like a powerful telephoto lens that brings us closer to that which previously appeared distant and unknowable; by the same token, it can function like a wide-angle lens that affords us the perspective to see the cosmic connections in our universe. Part Two of this series offer a variety of methods for cultivating mindfulness. Ophir, Natan. “The Lubavitcher Rebbe’s Call for a Scientific Non-Hasidic Meditation.” B'or Ha'torah, vol. 22, 2013, 109-123. Please see my article “The Lubavitcher Rebbe’s Call for a Scientific Non-Hasidic Meditation.” B'or Ha'torah, vol. 22, 2013, 109-123. In February 1978 Rabbi Menahem Mendel Schneerson (the Lubavitcher Rebbe) sent out a confidential memorandum asking for “doctors specializing in neurology and psychiatry” to develop a meditation program that could serve as an alternative for the popular meditative imports from the Far East such as Transcendental Meditation (TM). Dr. Yehuda Landes, a psychologist in Palo Alto, California, responded positively and soon launched a pilot project. Then in July 1979, the Rebbe issued a public announcement asking for more people to help in developing and disseminating a Jewishly acceptable form of meditation. J Meditation: Rebbe Rashab Currently reading "Love Like Fire and Water" ("Kuntres HaAvodah") by the Rebbe Rashab, a guide to Jewish Meditation translated into English. scientific basis for meditation There are a lot of scientific research already with proven results on the benefits of meditation. One can reach them by way of the Pslams. Keep at it for as long as it takes. These writings can 'take you places'. Some are very, very exciting. Elevation by way of Torah is unmatched. Nothing quite like it. So what is the form(s) of meditation from Rebbe? Quite a long article, yet it said very little about the claimed subject - what meditation forms (besides Prayer) did the Rebbe approve and recommend.